How to get value in other field based on the value of Link field? I have a link field business_category, upon the selection of which business_category_code get populated. 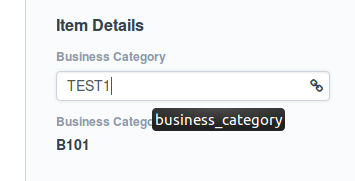 It works fine when I select from the already existing data from the Business Category doctype. What shall I do to populate(update) the information on the other field based on the newly created value of link field?